Tanuja Thakur, the disciple of Paratpar Guru Dr.Jayant Athavale is the founder of Vedic Upasana Peeth. She has been practicing spirituality right from childhood as the environment at home was likewise. She got active in the spiritual field at the age of 19 when She realized incidentally that She has the power to forsee the past and future of individuals. Between 1990 and 1997, Tanuja Thakur provided a variety of forecasts for around 20,000 people which has been proven 100% correct with the passage of time. She obtained this extraordinary ability without any spiritual practice or any knowledge of Vedic astrology or palmistry. This provided a strong impetus for Her to research about divine powers, though currently, She does not provide any forecasts. Her life took a new turn when in May 1997, after She first met Her Shreeguru, Paratpar Guru Dr. Jayant Athavale in Mumbai. In Her student life, She had been a victim of the corruption-ridden education department and so, determined to completely eliminate corruption by becoming an officer in the Indian Administrative Service. But God had ordained some other plans for Her. After meeting Her Shree Guru, for the sake of transforming society, She gave up Her wish of serving the wordly government and was inspired to serve the divine rule and renounced Her higher studies, a career in management consultation and family life and as per Guru’s order, has been travelling across the different states of Bharat, putting society on the path of spiritual practice, from 1998. According to God’s ordain, on the sixth day of the dark fortnight of “Paush” month, i.e. 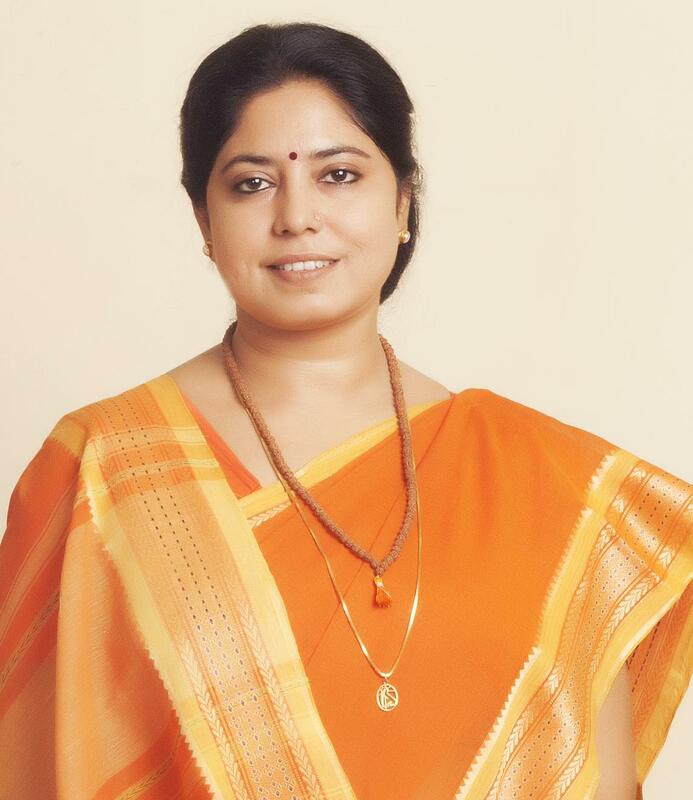 26th December 2010, Tanuja Thakur founded the organization, “Upasana Hindu Dharmotthan Sansthan” and started Her Dharmic work. Within three years, this organization was successful in widespread propagation of Dharma and on the day of “Basant Panchami” in the year 2014, She founded one more organization “Vedic Upasana Peeth” to propagate Dharma at a global plane. Right from 2011, She has travelled not only across the different states in Bharat, but also to different countries in the world for spreading awareness about the fundamental principles of Vedic Sanatan Dharma. She has been teaching Dharma and spirituality to schools, universities, business establishments (businesses houses or corporates), temples and other social organizations through the medium of lectures. Tanuja Thakur has a huge circle of 1 lakh friends in the social networking site Facebook. As on date, seekers as well as the curious from about 200 countries world-over are availing the benefit of Her discourses and writings through Youtube, Whatsapp and this website (www.vedicupasanapeeth.org). Currently, many seekers who are performing spiritual practice under “Upasana” (“Vedic Upasana Peeth”) joined the organization after being influenced by Her precise guidance available on facebook, youtube, whatsapp and organization website and in this way, She has wonderfully utilized the modern science and its different communication mode for spreading Dharma and spiritualtiy presents an ideal before all of us.